At its general meeting in January, Royal Canadian Legion Shalom Branch 178 elected its new management slate: Ralph Jackson (president), Alan Tapper (first vice-president), Marc Perl (second vice-president), Jenica Neamu (secretary) and Jeff Simons (treasurer). The executive officers are, in alphabetical order: Libbera Amram, Eugene Edelman, Maurice Elharrak, Rosemary Harkins, Frank Long, Angela Miller, Danny Redden and Larry Shapiro. The next general meeting will take place at the legion, 2020 West 6th Ave. For information on it and becoming involved, call Tapper at 604-263-8498 or email [email protected]. On Feb. 13, Israel’s national volunteer emergency medical services organization, United Hatzalah, received the Jerusalem Prize for excellence in lifesaving. 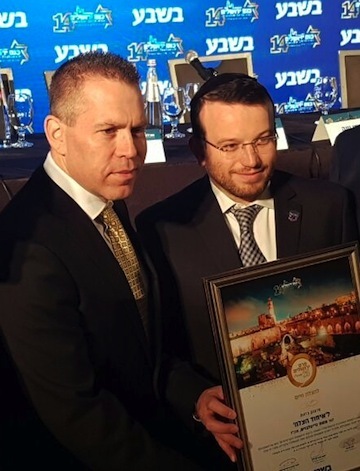 The director of United Hatzalah, Moshe Teitelbaum, received the award in honour of the 3,200 volunteer EMTs, paramedics and doctors who work with the organization. The award was presented by Gilad Erdan, Israel’s minister of public security, strategic affairs and information. United Hatzalah president and founder Eli Beer welcomed the prize and the recognition of the efforts of the volunteers. Limmud, the international network of Jewish learning communities, will be awarded the Jerusalem Unity Prize in the Diaspora category on Unity Day, June 7. President of Israel Reuven Rivlin will bestow the award in Jerusalem, recognizing Limmud’s global success in bringing Jews together. The prize is a joint initiative between Jerusalem Mayor Nir Barkat, Gesher and the families of Eyal Ifrach, Gil-ad Shaer and Naftali Fraenkel, z”l. Founded in the United Kingdom in 1980, Limmud today has spread to 84 communities in 44 countries on six continents. In 2016, Limmud’s 4,000 volunteers produced 74 Jewish learning festivals and events around the world, which drew more than 40,000 people. A core tenet of Limmud is that everybody is an equal member of the community, whether layperson or rabbi, communal leader or educator, adult or child. Limmud’s values stipulate that it is a community of learning, recognizing that far more can be achieved together than individually. Everyone can contribute and all are responsible for one another and the communities that are created. 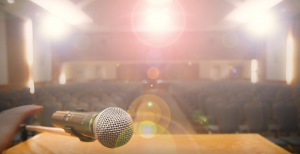 Apart from its work in the Diaspora, Limmud has been embraced by thousands of Israelis, where nine Limmud communities bring together people across the religious spectrum and from all ethnic origins – Ashkenazim, Sephardim, immigrants from the Former Soviet Union, and many others. The Jerusalem Unity Prize and Unity Day recognize individuals, organizations and initiatives in Israel and throughout the Jewish world that advance mutual respect among the Jewish people.